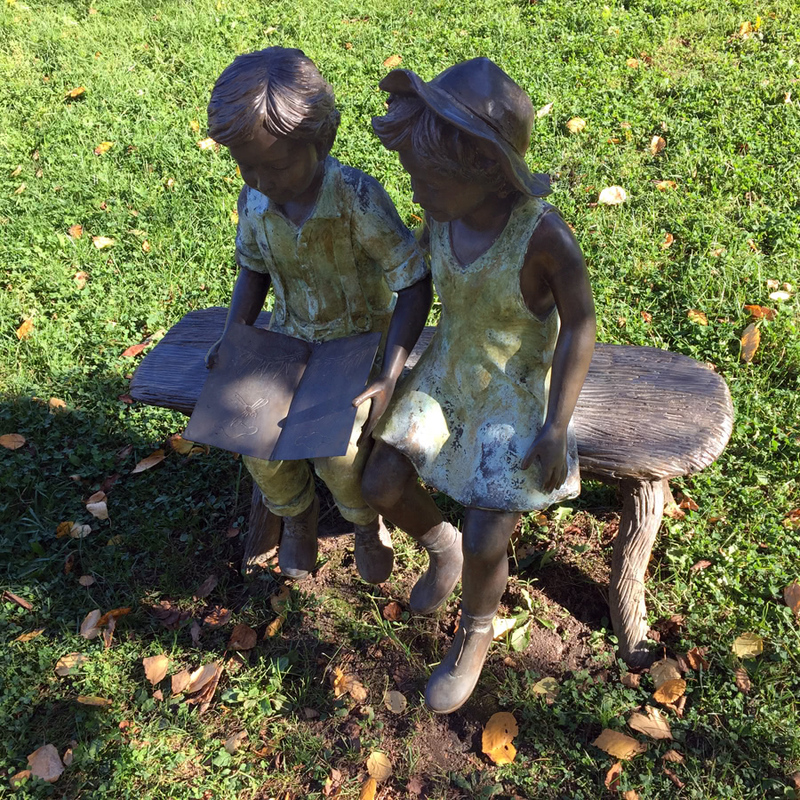 Outside the library’s east doors is a charming depiction in bronze of two children enjoying a story on a bench. 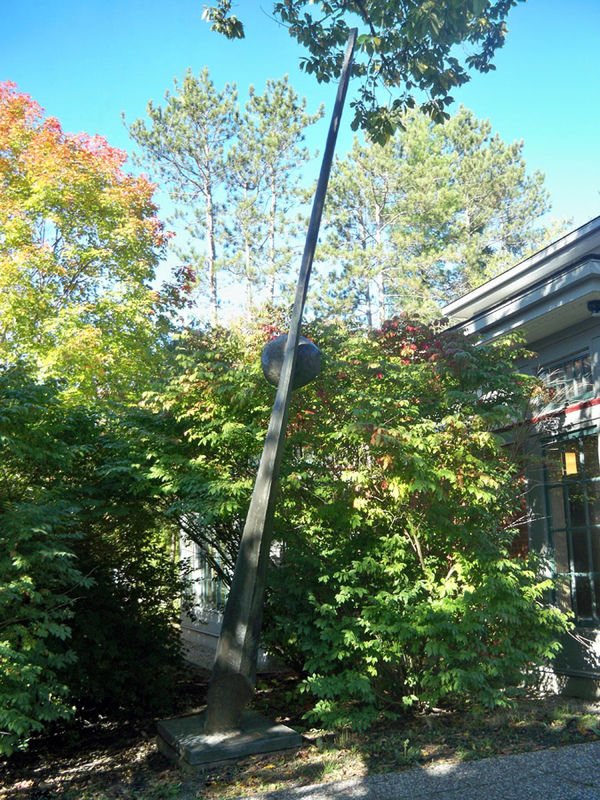 The Sundial, by Bruce Garner, is a 1997 gift of the Ambassador of Kuwait. It stands on the south side of the Library. John Matthews, former village resident and sculptor, donated Interrupted Circle. Cast in bronze in 1996 for the Village, it sits on the lawn to the east of the Community Hall. 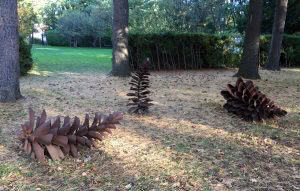 At the west entrance to the Jubilee Gardens, lie three large, metal pine cones titled Regeneration, by sculptor Floyd Elzinga. 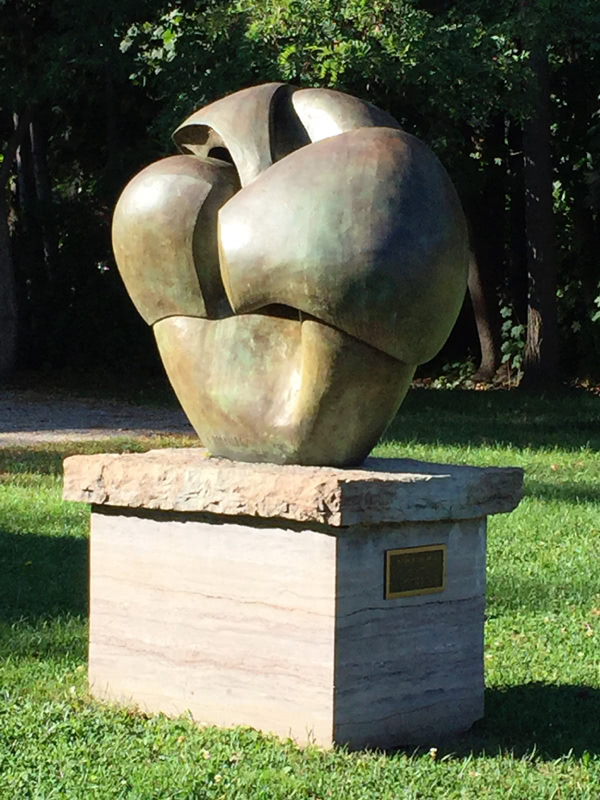 In 2009 the Gualtieri family donated this lovely sculpture to honour their mother, Margot, a long-time contributor to our community. 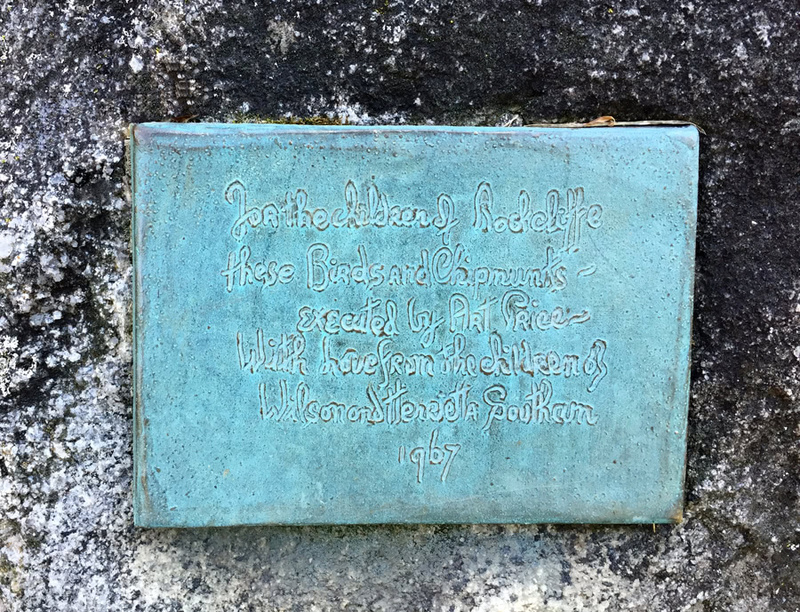 In the Village Green there is a charming gift to the children of Rockcliffe Park from the children of Wilson and Henrietta Southam. 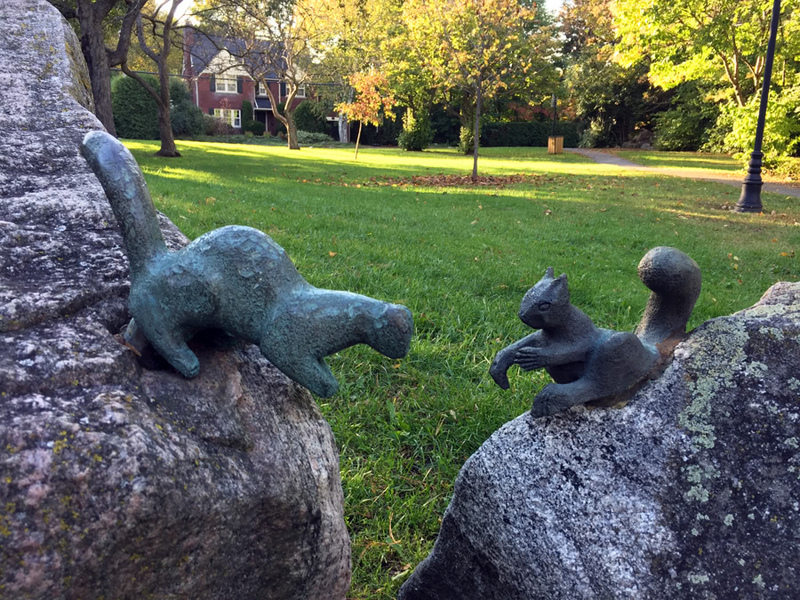 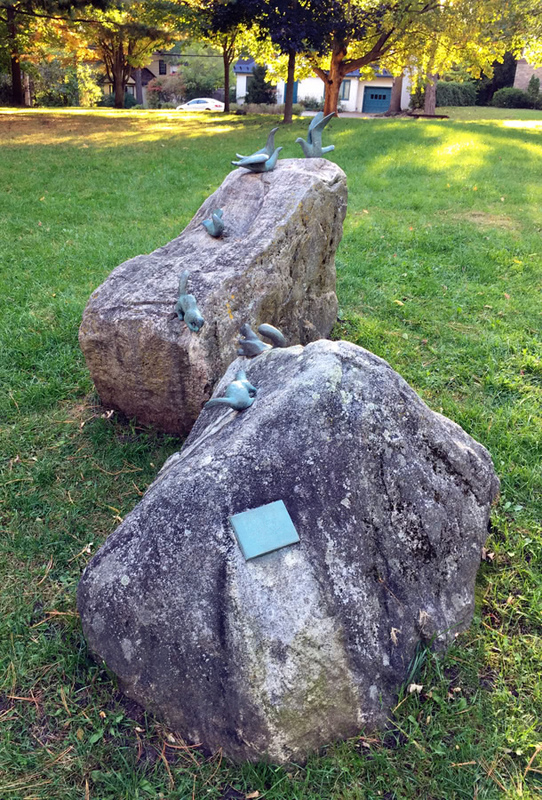 Whimsically perched on two boulders are the tiny Squirrels and Birds, created by local sculptor, Art Price, in 1967. Nearby is a small memorial sundial installed in 2004, placed in memory of Sheila MacTavish Cudney, the daughter of Senator Duncan MacTavish and his wife Janet (Southam) MacTavish. 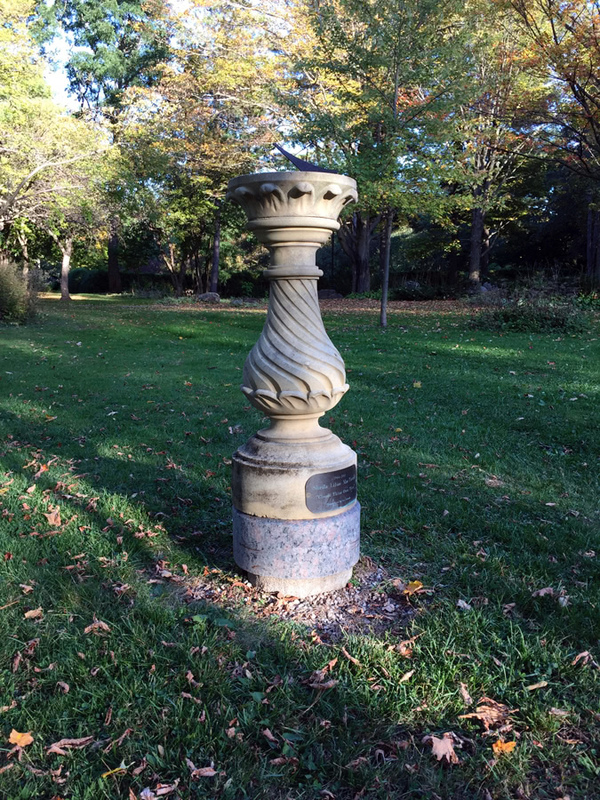 Sheila was well-loved by all who knew her and the sundial was put in place by a group of her many friends after she died far too young from cancer in 2003. Sheila attended Elmwood School with her older sister Jane and her Toller cousins. 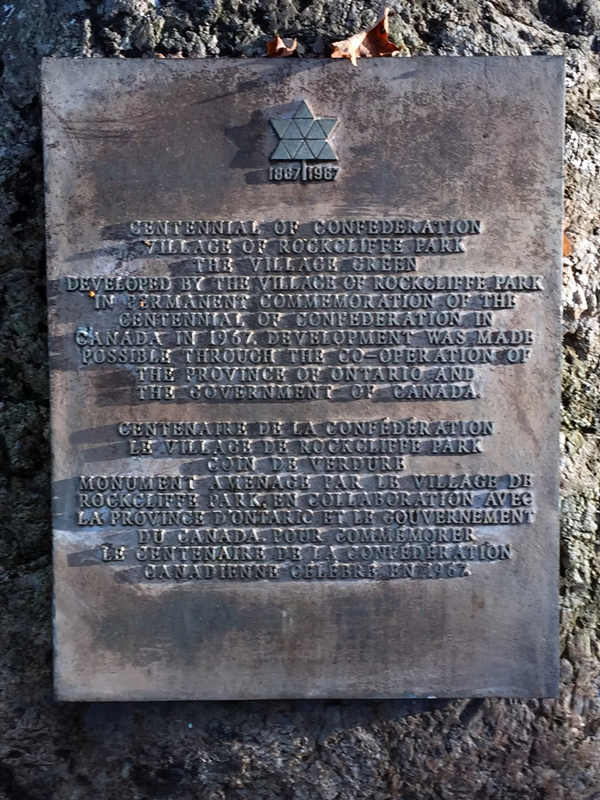 Although she had a stint in Toronto, she lived the majority of her life in Rockcliffe and latterly in New Edinburgh. 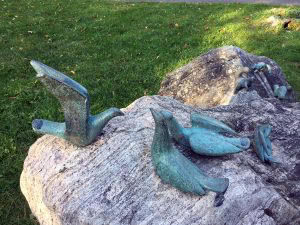 Sheila was an interior designer with exquisite taste and a unique feel for colour and form. Through her company Daisy Designs, she shared her unique style, which was elegant, minimalist, and highlighted by delightful surprises. She also loved art and quietly collected contemporary pieces by local Ottawa artists as well as works by Manitoba artist, Joe Fafard. 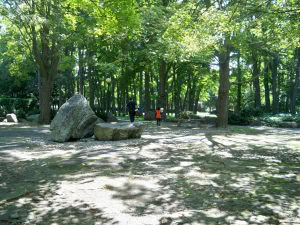 She was a strong and serene person who confronted adversity with a quiet courage, steely determination and patience. She was beloved by her two children, Janet and Gordon, and by all her family as well as her wide circle of friends. 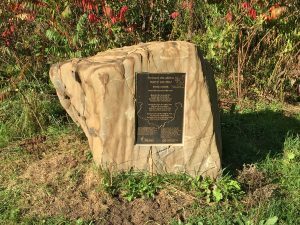 For almost 90 years, two special engraved boulders have graced the Village just east of McKay Lake. 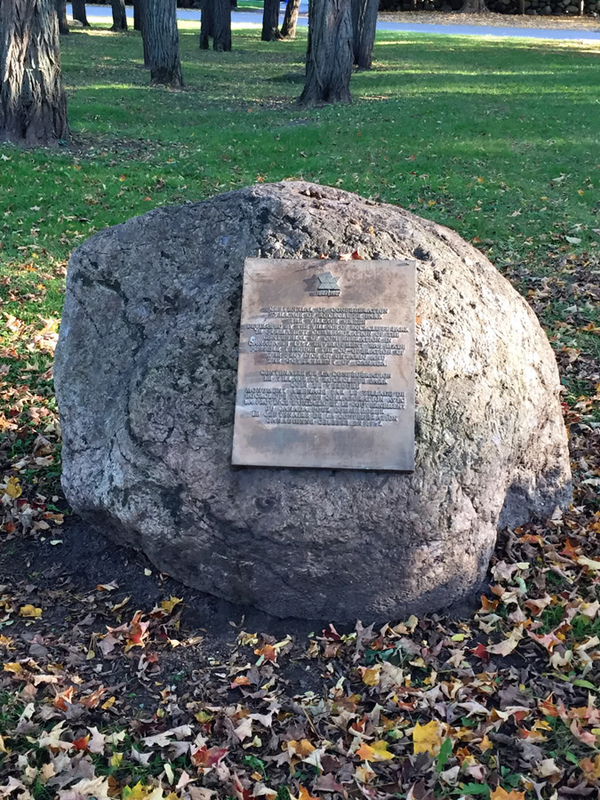 In 1930, the Ottawa Field-Naturalists’ Club placed two engraved boulders, one on the grassy slope in the Hillsdale Triangle just beyond McKay Lake and the other to the west of the Hillsdale Bridge. 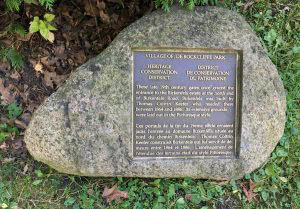 The Club had conducted many field trips to McKay Lake. 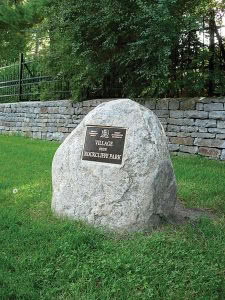 The Hillsdale Triangle marker reads as follows: “The level of McKay Lake stood at around the level of this marker a few thousand years ago…” and refers to the marl beds composed of fresh water shells deposited in the lake. 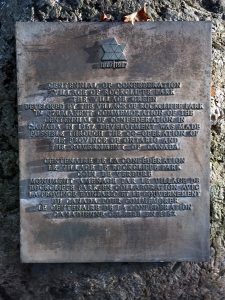 The marker west of the Hillsdale Bridge records that the lake dates from the close of the submergence of the Ottawa Valley by the post-glacial Champlain Sea. 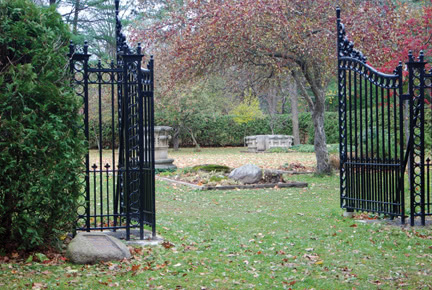 The historic gates at the Buchan Road entrance into the Jubilee Garden, restored and erected in 2007, originally stood at the north end of Birkenfels Road. 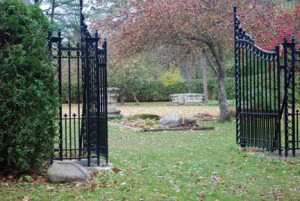 They were the main gates of the Birkenfels estate and probably date from the period of construction of Birkenfels which began in 1864. 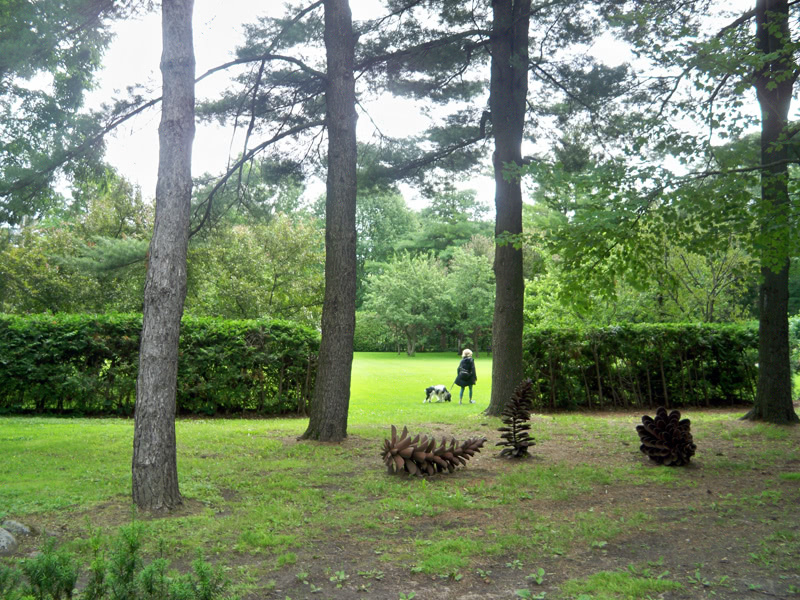 The house was demolished in 1991 and the land subdivided into the lots surrounding Soper Place and Perley Court. 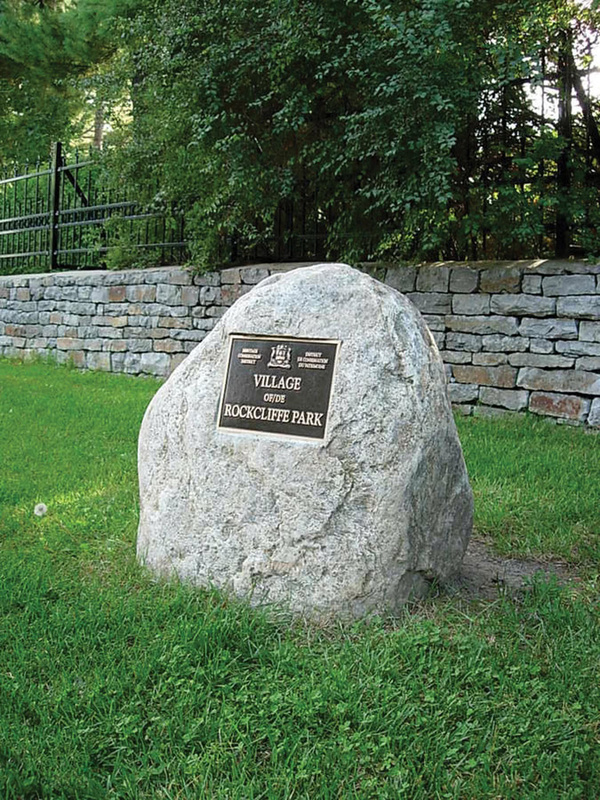 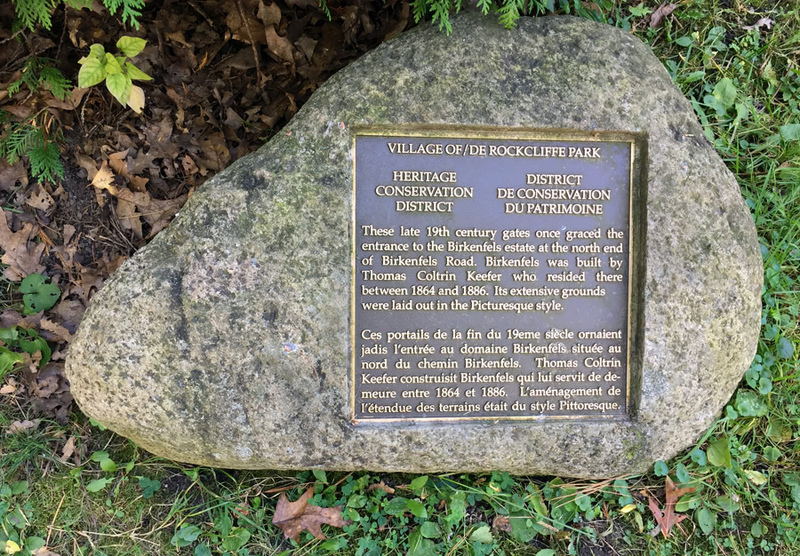 The former Village Council placed bronze plaques on large boulders to mark the nine principal road entrances to the Village and its heritage conservation district in 2000. The boulders come from the area of the Village Green and the plaques were cast in Merrickville. 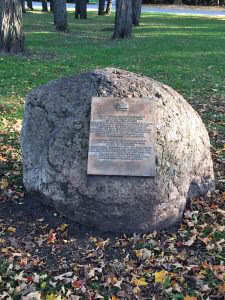 On the north side of the Hillsdale Bridge stands a boulder displaying a plaque inscribed with the poem “Indian Summer” by Canadian poet William Wilfred Campbell. 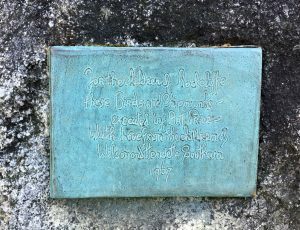 The Poets’ Pathway project donated the plaque in 2015. 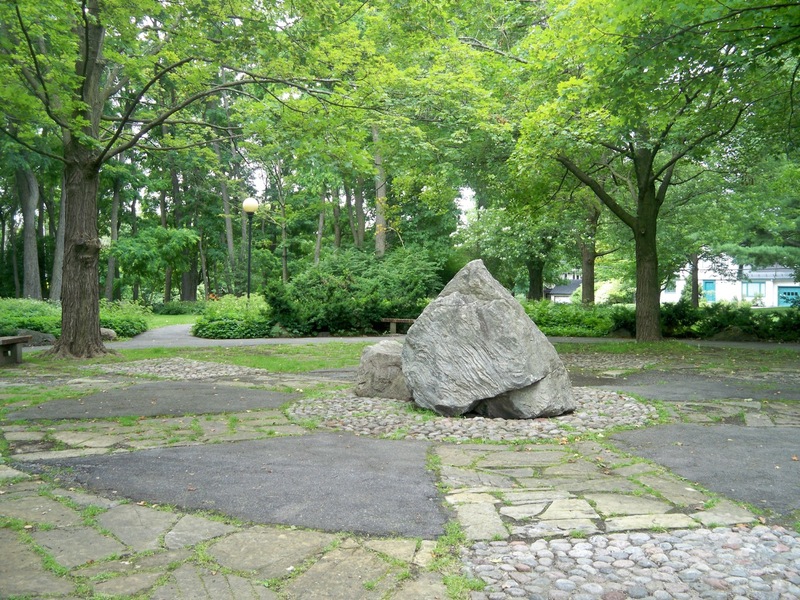 The Centennial Garden, part of the Village Green, was Rockcliffe Park’s project to commemorate Canada’s centennial year in 1967. 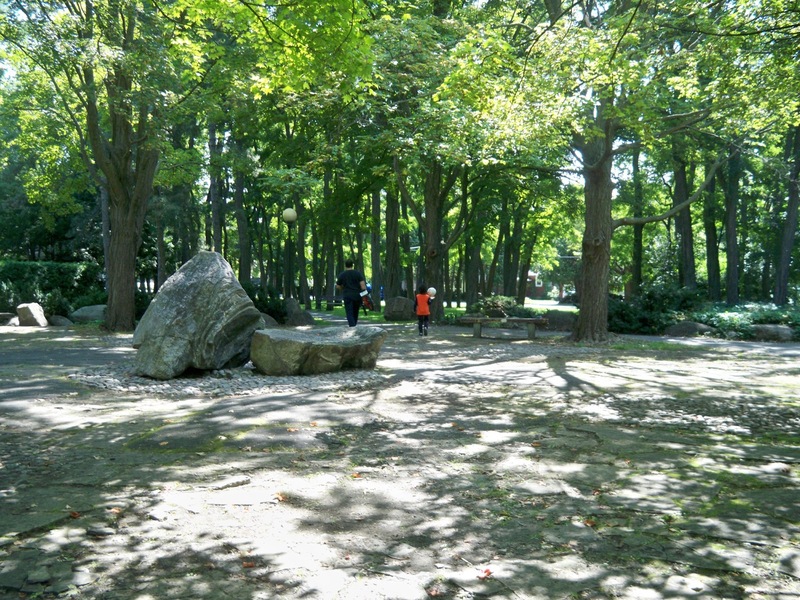 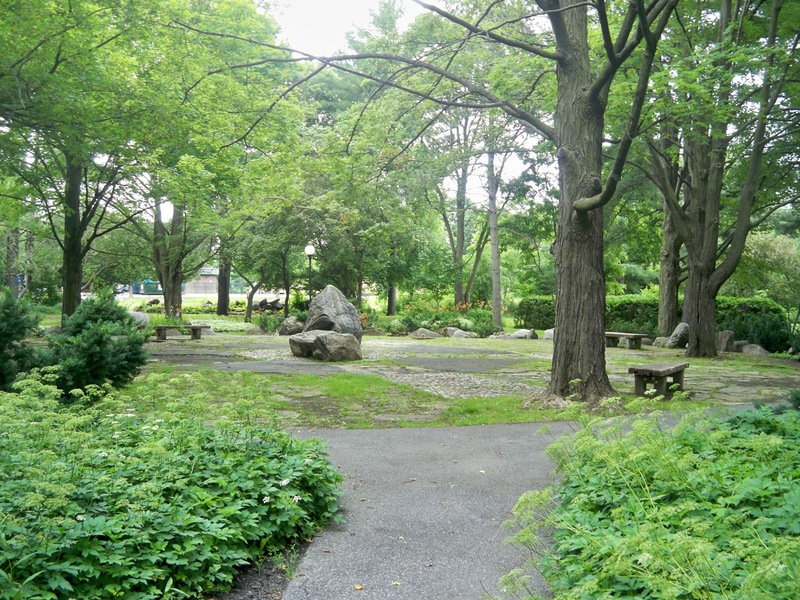 The central area, or “stone circle,” features boulders surrounded by concentric rings of paving, benches and sugar maples. 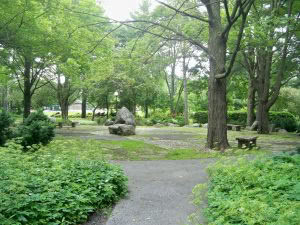 See also the Village Green above.